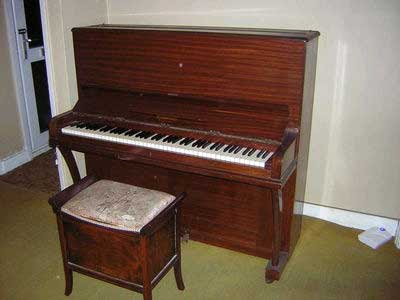 I am Freddie Mercury's mum and I can confirm that this is Freddy Mercury's piano. Also, I am selling Richard D James' Roland SP808. I have a signed letter from his PE teacher to confirm that little Dickie used to amuse everyone with his groove-box manipulation antics during double-games on a Wednesday afternoon.